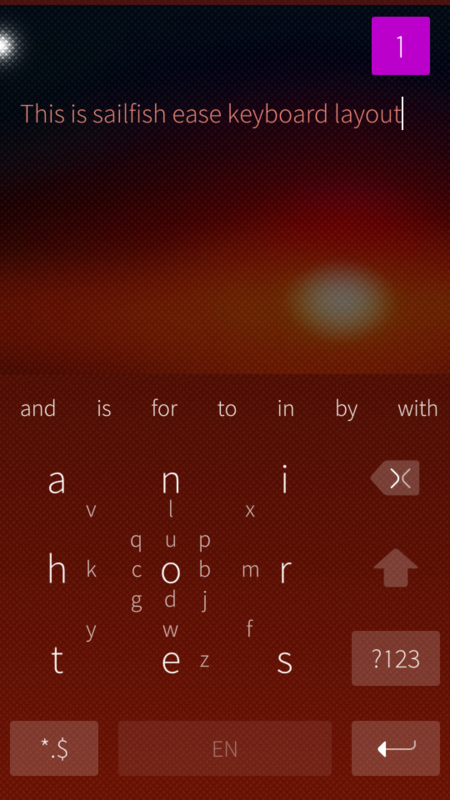 This keyboard was originally ported (from scratch AFAIK) by Jimmy Huguet on SailfishOS, you can find in his repo on GitLab, but this version requered to patch some default files. Good work on the standalone version, thank you. I finally figured out the long swipe feature, still getting used to it. Noticed the keys have drawn borders now, very helpful. Thank you! It now works on 3.0.2.8, and thanks for Polish language! The only thing I don't like is that English and Polish use different layout, so I can't just memorize one. 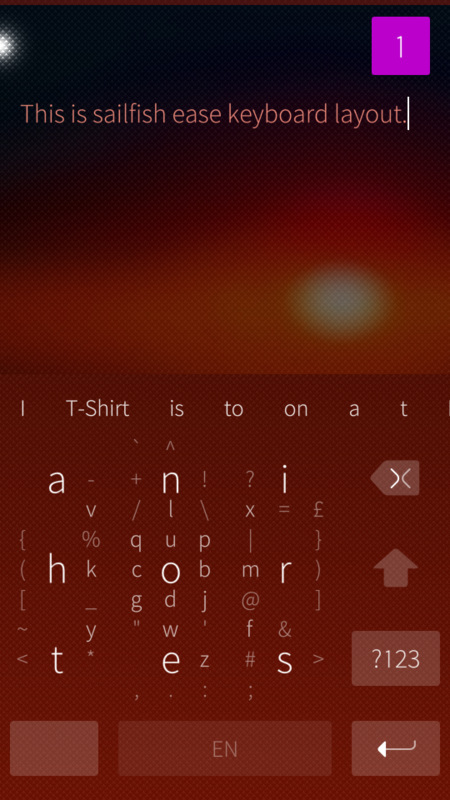 Yeah, i know the feeling, it's a pity that jolla-keyboard does not allow for choosing separately the layout and the language for text prediction. How did you manage to remove the reliance on patchmanager? I am curious to know since I am one of the developers of Japanese flick keyboard and this could help us to also cut the reliance on that as well! Sorry to tell you but the answer is cheating. I was able to disable the default MultiPointTouchArea by means of what i would call "parametric children research". Then i created my own MultiPointTouchArea with the patched input handling. Check in the sourcecode for "searchParentsChild()" inside KeyboardEaseLayout.qml. Some swipes cause a deletion of last character (like pressing backspace), e.g while trying to type "?". That is actually a feature! That is actually a feature! Long swipe to the right it's equivalent to spacebar, long swipe to the let is backspace. The actual bug is that in the openrepos version i mistook on writing the value of the trigger level.. so yes, this feature is triggered too easily. Patchmanager 3 shows it is incompatible wuth anything newer than 3.0.0.8, but for me after installing with Storeman it automatically gets applied and it works. If you disabled it and can't apply it, reinstall it. I'm sorry i don't remeber if there were changes with SF 3.0.1.11 so it might have been incompatible. The fact is that now i'm working on a version wich won't need patchmanager, so i didn't wont to update the patches. If the app installs but you cannot apply the patch, try to set developer mode in patchmanager, and retry to apply. If it fails, it means there were changes and i cannot help you right now. Trying to figure this out it seems to not swipe to the smaller letters, it jumps from the 9 main letters only. I removed OKeyboard and removed the loopen too. Nevermind Had to fully restart the phone, now it works. Any chance you'll get to Dutch? Belarussian latin shouldn't be far right?